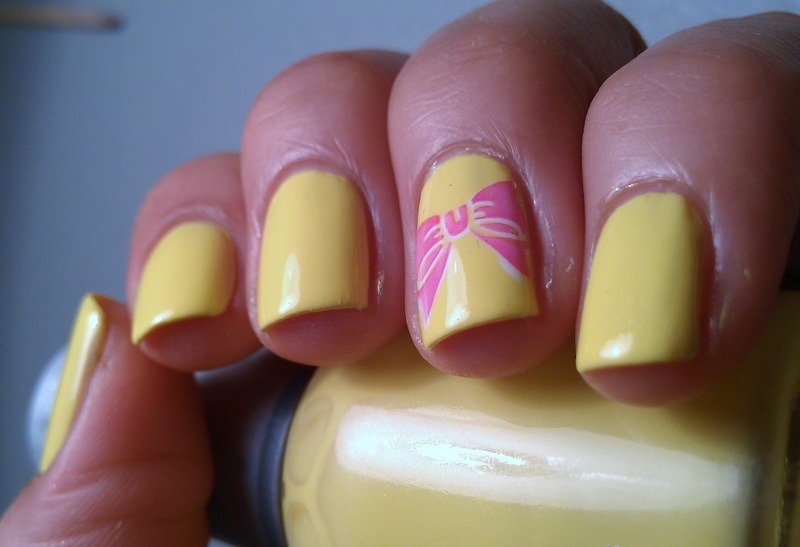 I have been in the search of a good yellow nail polish, I think I finally found a winner!!!! Accent finger was stamped with Sephora by OPI Betsey Johnson It's My Pink which its an awesome polish on its own and WnW white. Born Pretty Store plate m59 which you can find HERE! This is a very pretty shade of yellow. Looks pretty on you. I love the accent stamping, very cute. Nice yellow! Its hard to find a pretty yellow. Good yellows are really hard to find! I like this one! And the pink bow addition is adorable!! 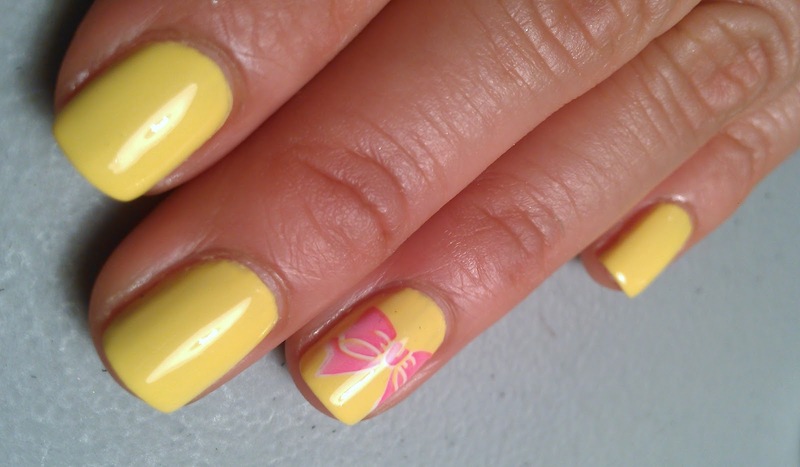 its so hard to find a nice yellow, just like good help these days :-P and i love the pink bow, sooo cute! This is really pretty! Its like a creamy color! 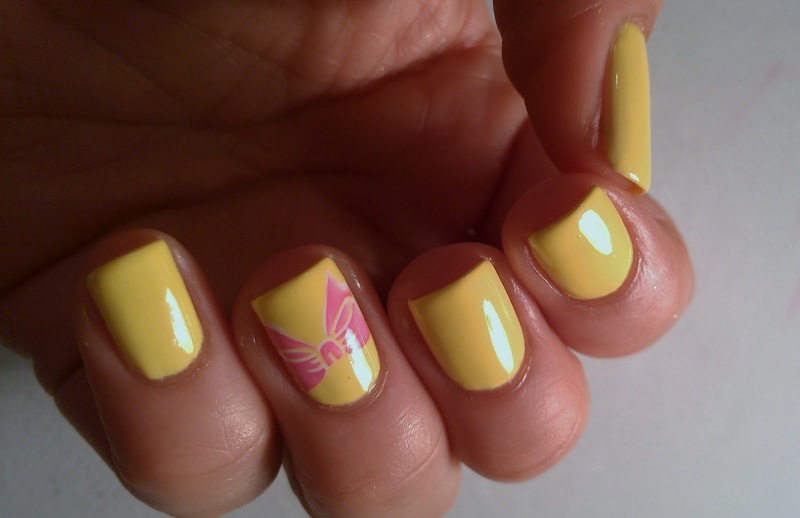 I am not a huge yellow fan, but I like this, it seems softer! I love the bow, I need to find a good bow stamp! I've been on a mission to find a good yellow. Every yellow takes me a million coats to get it opaque. Maybe I need to pick this one up! So cute! 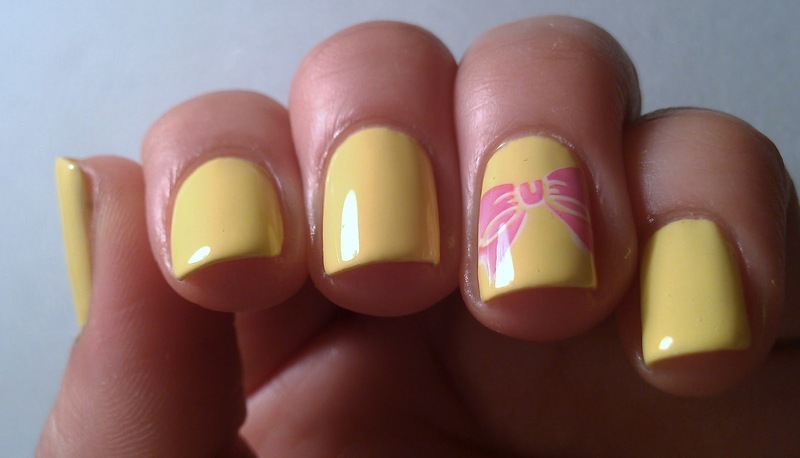 Very pretty yellow and I love the bow. that yellow is nice! ive been in a crazy yellow phase lately, gonna check it out! This yellow really is gorgeous! I'm loving the accent nail! Love the stamping. That yellow is gorgeous! And looks great on you! This yellow is so nice!